1. Spring break, work break... Any time spent recharging, doing something different. 2. 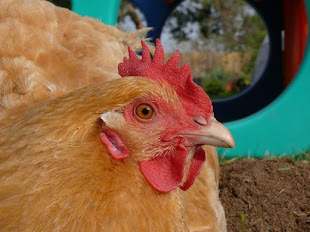 Chickens running... captured on high speed camera, shared with friends. 3. Watching Cosmos, rewinding, pausing, discussing, and absorbing. 4. Watering fruit trees, and appreciating their beauty. 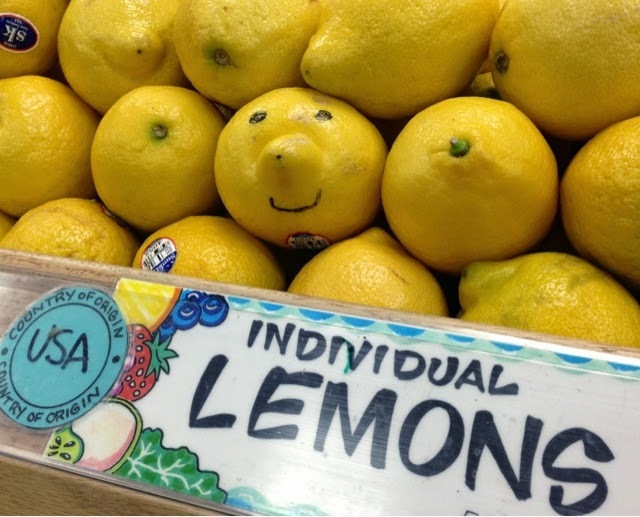 Everyone should have a smiley lemon for Easter! My five good things would be: cake with chocolate ganache icing; Flora Puddleduck's egg for breakfast; walking in the rain with our collies; fat pink apple blossom buds; finishing another quilt! It's been a lovely Easter. 1. Spring in the garden; dirt under fingernails. 2. Flower communion at the UU; brought a red rose and came home with a pink gerbera daisy. 3. Leftovers from Thai Easter dinner. 4. Extreme act of kindness by friend who liberated stuck toilet with her plumbing snake. 5. FitBit is my new best friend. We are loving Cosmos...the kids are eating it up which makes me especially excited! So much good info on there and Neil Degrasse Tyson is just fantastic!